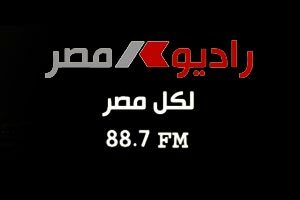 Every Wednesday from 4pm-7pm Cairo Time (2pm-5pm GMT) and during Ramadan every Wednesday from 2-4pm (12-2pm GMT), listen to Auto Arabia's editor Mohamed Sheta live on Radio Masr 88.7 ! Radio Masr (Arabic for 'Radio Egypt'), which is part of the Egyptian Radio and Television Union ERTU, is Egypt's leading and most wide-spread radio station which reaches millions of listeners in Egypt every day. Every week Mohamed Sheta will be discussing one of Egypt's hottest topics from the automotive market, including the latest developments in the local, regional and international automotive sector, the automotive service centers, latest recalls, road safety, passive and active safety features of passenger cars as well as trucks and buses and of course motorcycles, EuroNCAP and crash-test results, Formula 1, motorsport, and many more. In addition to that Sheta will regularly discuss solution and recommendations for the horrible traffic and congestion problems in Cairo, as well as give ideas and suggestions on how to reduce the very high and shocking numbers of accidents and road fatalities on Egyptian roads, especially the accidents which involve trucks and touristic buses. 'Road Safety in Egypt' is a constant part of the radio show. If you have problems with your car or with your service center, or if you simply want to comment or participate in the show, you can call the live program on the following studio-numbers: +202-25793195 or +202-25785893 ! I have 200.000 EGP and I want to buy a new car. I had many choices like Octavia Fantasia, Volkswagen Golf, VW Jetta, Kia Sportage or Nissan Qashqai. I am willing to pay more for BMW 316i 2013 if it is much more better than these cars. I currently do not recommend the Skoda Octavia Fantasia for two reasons: First, Skoda Egypt Artoc Auto took out the ESP from the current Octavia. Second, the new shape of the all-new 2013 Skoda Octavia (which is already available in the international markets! articles available on our website autoarabia.org) will arrive to Egypt in June or July 2013. But of course we do not know if the new 2013 Skoda Octavia will have ESP or not. If it will have ESP then you should consider it among your choices. If not, then skip it from your choices. Skoda Egypt will also release the compact-size Skoda Rapid and the compact-SUV Skoda Yeti during the next few days in Egypt. If they will have ESP, then you should also consider them in your purchase decision. The new Golf 7 is surely a good choice, so is the Volkswagen Jetta especially since both those cars are equipped standard with ESP and other important active and passibve safety features. The Nissan Qashqai is Made-in-UK and offers a very fine and comfortable ride, although it is a little bit smaller than the KIA Sportage and does not have ESP. The KIA Sportage is a very interesting alternative if your budget allows to chose the Highline which has ESP. Besides, KIA Egypt EIT is currently offering a very good customer service and a very competent level at its service centers. You should also wait for the all-new KIA Carens 7-seater, which we just tested a few days ago in South France. The quality of the New Carens is very good and I am sure it will be a very practical and convenient car for the Egyptian roads. Of course the BMW 316i is better than many of the cars mentioned above, but it also starts at around 300.000 LE. If your budget allows that, then you should go to BMW Egypt / Bavarian Auto Group and ask for a demo-drive with the 316i. We just test-drove the 316i Sport and the 316i Premium (Base-line). We will publish a detailed comparison test of the BMW 316i and the Mercedes C180, Volvo S60 and other competitors in a few days here on autoarabia.org and on our Auto Arabia Facebook Group. Always try to buy a car with at least 4 airbags and the live-saving Electronic Stability Program ESP / ESC. I personally, would chose between VW Golf, VW Jetta, KIA Sportage Highline with ESP, Skoda Yeti (if it will have ESP) and the BMW 316i. Ask for a test-drive at the dealerships and pick the one you feel most comfortable with. We will simultaneously forward your contact details to the recommended car companies so that they can get in touch with you for a personal test-drive. من معرفتي بكم و ما مدي اهتمامكم بمتابعة شركات و توكيلات السيارات في مصر و منطلق خبراتكم في التعامل مع تلك الشركات اريد عرض مشكلتي عليكم لكي توجهوني للتصرف الصحيح لكي احفظ حقوقي. please i would like to know your professional opinion about Brilliance V5? I would like to buy it. What would you advice me? Unfortunatley we did not drive it yet. As soon as we do, we will publish the review and test-drive here and on our Auto Arabia Facebook Group. First i would like to thank you for your live program on radio. I used to hear you every week . second i compare between two cars and need you opinion: new nissan sunny or accent rb? if you have other option in the same rang plz advice me. thanks for your message. I am glad you enjoy our radio show. Between the Nissan Sunny and the Hyundai Accent, I would currently chose the Nissan Sunny until Hyundai Egypt Ghabbour improve their customer service and become more professional. Another interesting alternative would be the Renault Duster or KIA Cerato. I called u Eng. Sheta on the radio about my Nissan care and I heard the guy that u guys called. Thanks a lot, but, he was lying. nissan never ever called me even ONCE to debait with me. I am Eng. Bassel Dahy. I have a huge complain against Nissan Motors. I am a nissan client since 2005. I bought 3 cars from Nissan in Dubai and in Egypt. I bought a Nissan sunny 2011 in Egypt and i had some problems with the car. Let me focus on the major problem. When i bought this car, it was working fine and i did my maintenance properly, but, before 10,000 km maintenance, i felt something wrong with the brakes. I told the company about it in the maintenance and they said they will fix it. After that, i still didn't feel the ABS breaks are fine. I told myself, I will tell them again in the 20,000 km maintenance. Before the 16,000km, i was driving the car on 6th of october bridge and suddenly the cars stopped. Normally in this situation, we hit brakes hard. I did BUT THE BRAKES DIDNT WORK. If i had normal brakes, it would have worked, I have an ABS, so, it should be braking better than normal brakes. IT DIDNT WORK AT ALL and the car didn't stop. The car stopped when i hit the car in front of me. I went to Nissan where I make my maintenance. I explained the problem and they refused to fix the car for me. As u can see, it is a new car. Such problem shouldn't exist. I went myself to the MAIN OFFICE of Nissan in Egypt to meet the Japanese manager and it ended up that i met another 2 egyptian guys working there. I completely forgot there position, but, i guess they are high position. He promised that he will check my problem and he will call me on Thursday or Saturday of last week. They didn't call me till now. I tried to call the maintenance branch here in Maadi, and they told me we will see and call u back. Also, they didn't and when i try to call them back, they don't answer my call. I started to get worried about my car. It is there for more than 2 weeks now. No one is helping me. I knew that no one from the main office went to the maintenance at all, and no one checked my car and no one is helping me. I am sending u this message coz I heard u before on the Radio and u r receiving a lot of complains and doing a lot of big actions. Please sir, I need some help here. What should I do?!! Thanks a lot for reading my message. ولم ادخر وسعا ذهبت الى المصنع فى السادس من اكتوبر وتمت مقابلة مع المهندس احمد النمرسى المسئول فى المصنع وكان الرد انة واجب على ان احضر اليهم السيارة لاخذ بعض القراءت من كهاز الكمبيوتر الخاص بالسيارة وارسالها الى مقر الشركة بالخارج لمعرفة سبب عدم الفتح من عدمة لانهم فى الخارج هم الجهة الوحيدة التى لها الحق فى توضيح هذة الاسباب ....!!! وبالتالى ذهبت الى جهاز حماية المستهلك وعند البدء فى عرض الشكوى وعرض صور السيارة ووجدت ان المسئول هناك قد شاهد السيارة من يومين اثناء معاينة سيارة اخرى موجودة بالمكان المشون بة سيارتى ووعد بلموضى فى الشكوى لكن بعد مرور الشهر الكريم وذلك لان اللجنة المسئولة عن الماينة لا تجتمع اثناء الشهر الكريم......!!! first of all we will send your complaint to Nissan Motors Egypt and Nissan Japan to make sure that this case is handled swiftly. Please feel free to share the pictures of your crashed Nissan Qashqai on our Auto Arabia Facebook group and please also feel free to call us next Wednesday during our live radio program on Radio Masr 88.7 ! I hope that Nissan Japan and Nissan Egypt will learn from this serious car crash and start importing and selling Qashqai and Juke models with the life-saving Electronic Stability Program (ESP) instead of the other useless gadgets and options. i ask about suzuki grand vitara 3 doors 2012 regarding the stability and also the strength. The Suzuki Vitara in general is a good car. Only problem is that the 3-doors Vitara is only available in Egypt with manual transmission and the other problem are the many complaints we receive from the Suzuki service center in Egypt. I have about 160000 L.E . what do you suggest me to buy ? taking in your considration that I prefer KIA SPORTAG or Nissan JUKE ? We test-drove the Nissan Qashqai recently, and I think it would be the better choice, alongside the new Skoda Yeti. we will forward your complaint to General Motors Egypt / Mansour Chevrolet, and I expect that GME will get in touch with you very soon. Please keep us updated with your case through our website or our radio show next Wednesday (1pm-3pm / ramadan time) on Radio Masr 88.7 ! I am considering to buy the new BMW 118i but I am a little bit concerned regarding the 8 shifts transmission. For sure you have tested the car so please tell me your opinion. we have received a BMW 118i test-car from BMW Egypt / Bavarian Auto Group for a short driving impression and evaluation, which we will publish in a few days here on autoarabia.org as well as on our Auto Arabia Facebook group. Ø£Ù†Ø§ Ù…Ø¹ÙŠ Ù…Ø¨Ù„Øº ÙÙŠ Ø­Ø¯ÙˆØ¯ 140000 Ùˆ Ø¨Ø§ÙÙƒØ± Ø§Ø´ØªØ±ÙŠ Ø§Ù„Ù†ØªØ±Ø§ 2012 Ù…Ø§Ù‡ÙŠ Ø§Ù„Ù†ØµÙŠØ­Ø© Ù‡Ù„ Ø§Ø´ØªØ±ÙŠ ØªÙ„Ùƒ Ø§Ù„Ø³ÙŠØ§Ø±Ø© Ø£Ù… Ù‡Ù†Ø§Ùƒ Ø§ÙØ¶Ù„ Ø­ÙŠØ« Ø§Ù†ÙŠ Ø§Ø³ØªØ¹Ù…Ù„ Ø§Ù„Ø³ÙŠØ§Ø±Ø© Ø§Ø³ØªØ¹Ù…Ø§Ù„ Ø¹Ø§Ø¯ÙŠ Ùˆ Ø§Ø­ÙŠØ§Ù†Ø§ ÙÙŠ Ø§Ù„Ø³ÙØ± ÙˆØ§Ø±ÙŠØ¯ Ø³ÙŠØ§Ø±Ø© ÙƒØ¨ÙŠØ±Ø© Ùˆ Ù…Ø±ÙŠØ­Ø© Ù„Ø§ÙØ±Ø§Ø¯ Ø§Ø³Ø±ØªÙŠ Ùˆ Ø£ÙŠØ¶Ø§ Ø¢Ù…Ù†Ø©. the Hyundai Elantra is a good car, but we only test-drove it extensively on Korean roads and not on Egyptian roads. I therefore recommend to you the Renault Fluence, which we are currently testing on Egyptian roads and which proved to be a very comfortable and spacious car. i went to service center thay took a reading and updated the software and send reading to Germaym they adviced that clutch need to be changed, they changed it to me, but still i feel same problem. i went back two times to them, each time they update software and try it and they say there is no problem, and they never send readings to Germany again as they did 1st time. forget the Toyota Avanza and the Daihatsu Terios. If you travel a lot, need lots of space for transportation and your budget is only 130.000 LE then you should go for the Mahindra Scorpio. We are currently testing the Mahindra Scorpio and is one of the best value-for-money cars currently available in Egypt. the Daihatsu Terios is not one of my favourite cars. What is your budget and what do you need the car for and how will you be using? I will try to recommend you a different and more suitable car. wait a little while. The all-new 2012 Nissan Sunny will probably arrive soon to Egypt. which is the best? Nissan Qashqai automatic or Kia Sportage automatic and why? i have question i am going to buy Passat 2012 i need to Know what is good about it and what is bad? if am compair it with BMW 316I which is better? both are very good cars. The 2012 Volkswagen Passat is a very good car and much more modern than the BMW 316i. But unfortunately Volkswagen Egypt has one of the worst, if not THE worst, reputations in Egypt due to the very poor and incompetent service they offer at their service-station. Therefore, I personally would chose the BMW 316i instead of the 2012 Passat, even if the new-shape of the BMW 3 series will be offered in Egypt soon (check its pictures on our website!). Other alternative would be the all-new 2012 Mercedes B-Class, the Skoda Octavia or the Skoda Superb which I consider one of the best cars in this segment. Only disadvantage is: The Skoda Superb is only offered with manual transmission. the 1.6-liter engine of the KIA Sportage is quite okay for the size of the KIA Sportage. I only had a short test-drive, but it was not too bad. I suggest you ask for a test-drive at the main showroom of KIA Egypt and try the car yourself. You will probably like it. stay away from any used Chinese cars or Daewoo. Look for a used VW Polo, or any used European or Japanese car. You will surely find something within the 27.000 LE budget. Look in el waseet newspaper and STAY AWAY from the used car market in Madinet Nasr! Ø¨Ø±Ø¬Ø§Ø¡ Ø§Ù„Ø§ÙØ§Ø¯Ø© ÙÙŠ Ø§Ù„Ù…ÙØ§Ø¶Ù„Ø© Ø¨ÙŠÙ† Ø³ÙŠØ§Ø±Ø© Ù†Ø³ÙŠØ§Ù† ØµÙ†ÙŠ 2012 Ùˆ Ø³ÙŠØ§Ø±Ø© ÙƒÙŠØ§ Ø³ÙŠØ±Ø§ØªÙˆ 2010 (Ù…Ø³ØªØ¹Ù…Ù„Ø© - Ø¨Ø­Ø§Ù„Ø© Ø¬ÙŠØ¯Ø©) Ø­ÙŠØ« Ø§Ù†Ù†ÙŠ Ø§Ø®Ø´ÙŠ Ø§Ù„Ø³ÙŠØ±Ø§ØªÙˆ ÙÙŠ Ù…Ø¹Ø§Ù…Ù„ Ø§Ù„Ø§Ù…Ø§Ù† Ù†Ø¸Ø±Ø§ Ù„ÙƒØ«Ø±Ø© Ø­ÙˆØ§Ø¯Ø«Ù‡Ø§. since you care for safety I would consider a different brand than the two you mentioned, e.g. the Hyundai New Accent 2010. What is your budget anyway? I personally do not recommend the 2012 Nissan Sunny. First, it is a very old shape. Secondly, it is Made-in-Egypt. Thirdly, there are many better Korean and Japanese competitors in this segment. I got volvo s40 2006. I suffer from gear box and torombet el banzeen (fuel pump) alot. Finally my engine was cracked and the new one at ezz el arab costs. 50.000 LE and i sent to volvo in sweden they told me the guarentee is for 3 years only. did you buy this car as a brand-new car or used car? if it was a new car, then please send the complete service history of the car and we will try to help you. If you bought it as a used car, then maybe you should look for a used engine. It would be much cheaper. thanks a lot for your concern and efforts, kindly find below case updating ( 2 days ago), Chrysler Egypt ' CEO withdrew his words and didn't fullfil his promises , please go through the following story and see how things run inside such a monstor Global Company. I am afraid I feel obligated to express our disappointment at the way you have dealt with this entire situation. You are trying to burden us with responsibilities that should not be our concern. The simple fact remains that we have purchased a vehicle from you. The vehicle caught fire and threatened lives because of a manufacturing problem. You are obligated to replace the vehicle with a new one with the same conditions. As for the recalled vehicle, whether you should pay its customs to use it as spare parts or simply do whatever you feel like with it; I am compelled to assure you that this should not be our concern. 1- Replacement of the vehicle with a brand new one not a model of 2011 products as we do not trust that model any more, most people are of the same opinion. 2- A suitable compensation that matches the gravity of the accident witnessed by no less than 30 witnesses who are willing to confirm our allegations. 3- I have injured my back while trying to pull the Vehicle out of the desert (medical report ready upon request), therefore full reimbursement is expected. I would like to congratulate you on such a massive show you are producing here! Keep it up please ,we need it badly. Kindly find below my tragedy story with Chrysler Egypt . I enclose a copy of a complaint letter I sent to Mr. Maciej Ratynski dated 23-10-2011 as We have not yet had a satisfactory response, especially after the unexpected and inacceptable conduct from Egypt Team Dated: 31-10-2011 when they suggested that they plan to send the damaged part of the Vehicle to USA for repair. WE Gulf Limousine count as a very Loyal Customer to Chrysler products and therefore we have given you reasonable opportunity to resolve our complaint in a suitable and satisfactory way. You have failed to do so. 1-	Replacement of the vehicle with a brand new one not a model of 2011 products as we do not trust that model any more, most people are of the same opinion. 2-	A suitable compensation that matches the gravity of the accident witnessed by no less than 30 witnesses who are willing to confirm our allegations. 3-	I have injured my back while trying to pull the Vehicle out of the desert (medical report ready upon request), therefore full reimbursement is expected. We look forward to hearing from you and to the resolution of this problem. We will wait for the next two weeks before seeking legal alternatives after resorting to the top Chrysler management for proper resolution. We are â€œGulf Limousineâ€; a company based in Egypt and operational since 1978. We own a fleet consisting of 68 vehicles out of which 22 are Chrysler manufactured vehicles â€“ mostly 4X4 cars. We serve a high profile customer list mainly in the Tourism and Petrol sections. that we recently purchased from your local dealer â€œTarek Ismailâ€. While trying to mount one of the dunes, amongst 30 other shocked off- road riders driving various brands of vehicles, amongst which yourself Mr. Maciej Ratynski â€“ CEO Chrysler Egypt â€“ who witnessed Mr. abou El Fadlâ€™s â€œGrand Cherokeeâ€ suddenly burning from the chassis and the engine. It was a horrifying, unexpected life threatening incident for Mr. Abu El Fadl and his family, especially from a brand new supposedly trustworthy off â€“road vehicle manufactured by Chrysler. The traumatic experience continued during the need to pull out the vehicle through sand dunes and after several attempts, a Toyota â€œPradoâ€ was able to do the job in a horrifying trip back to base before night fall. Dear Sir, it is with a lot of disappointment that we have to hold a new 3 vehicle order until this incident is thoroughly investigated and properly dealt with. We resort to Chryslerâ€™s management because of the gravity of the incident which resulted in totaling a brand new, high-end; Chrysler manufactured vehicle and a life threatening experience for one of our executives and his family. - Replacement of the vehicle with a brand new one. - Provision of a proper vehicle for the use of Mr. Abou El fadl until his â€œGrand Cherokeeâ€ is replaced. - Soonest meeting to discuss some issues concerning its subject. We hope that Chryslerâ€™s action matches the gravity of the incident and assure you that in case of failure to do so; we will take every available measure to assure proper indemnification both morally and materially. - Vehicle is currently being inspected by â€œAbu Ghaly Motorsâ€. Thanks in advance for your swiftly response. Proven pics are available upon request. first of all we are glad that known of your family members were hurt in this accident, when your 2011 Jeep Grand Cherokee catched fire. We will forward your complaint to Jeep/Chrysler Middle East as well as to the Jeep/Chrysler headquarter in Detroit (USA). Please keep us updated with your case or any other similar cases which happen during or outside the Jeep Club Egypt event. I'd like to raise this complaint on air as my vehicle (Fiat EVO 2011) entered the Service Center 2 monthes ago to get fixed and the damages were (boot,front bumper,fog light) and till now I didn't get my car because they're saying that the spare parts are not available in Egypt and they have to get it from Italy. The car is perfect, but believe me when I tell you that Fiat will loose Egypt's market just because of their procrastanation attitude. Please contact me to tell you more details or help me. Why would I take a fixed car while I gave you an original brand new? Car, what is the car value when I think of selling it? What is the difference between a brand new car and a car that changed its internal cover? The insurance covered the change of internal cover, would it be with the same value? 20 days and I was with no car? "8 days end of August - 8 days first half of September â€“ 6 days "end of September", why should I bear this and at the end I get a cover that is handmade and not the original one, while not even giving me the choice to accept this or not ? What is my fault here? Why did we change the original "internal cover", as long as we? Ø£Ù…ØªÙ„Ùƒ B150 2009 - 20000 ÙƒÙ… - Ø§Ù„Ù…Ù‡Ù… Ø£Ø±Ø³Ù„ØªÙ‡Ø§ Ù„Ù…Ø±ÙƒØ² GAS Ù„Ø£ØµÙ„Ø§Ø­ Ø§Ù„Ø³Ù‚Ù Ø§Ù„Ø¨Ø§Ù†ÙˆØ±Ø§Ù…Ø§ Ø­ÙŠØ« Ø£Ù† Ø§Ù„Ø³ÙŠØ§Ø±Ù‡ Ø¨Ø§Ù„Ø¶Ù…Ø§Ù† ÙˆØ§Ù„Ø³Ù‚Ù ÙƒØ§Ù† ÙÙŠÙ‡ Ù…Ø´ÙƒÙ„Ù‡ â€“ ØªÙ… Ø£ØµÙ„Ø§Ø­ Ø§Ù„Ù…Ø´ÙƒÙ„Ù‡ ÙˆÙ„ÙƒÙ† Ø¹Ù†Ø¯ Ø£Ø³ØŸ Ø³Ø¶Ø¶ØµØ´Ø³Ø¦Ø¡ØªÙ„Ø§Ù… Ø§Ù„Ø³ÙŠØ§Ø±Ù‡ ÙˆØ¬Ø¯Øª ØªØ¬Ø±ÙŠØ­ Ø¨Ø³ÙŠØ· ÙÙŠ Ø£Ù…Ø§ÙƒÙ† Ù…ØªÙØ±Ù‚Ù‡ â€“ ÙØ«Ø±Øª ÙˆÙƒÙ„Ù…Øª Ø§Ù„Ù…ÙˆØ¸Ù Ø§Ù„Ù…Ø³Ø¦ÙˆÙ„ ÙˆÙƒØ§Ù† Ø£Ø®Ø± ÙŠÙˆÙ… Ø±Ù…Ø¶Ø§Ù† Ù‚Ø¨Ù„ Ø§Ù„Ø¹ÙŠØ¯ â€“ ÙÙ‚Ø§Ù„ Ø®Ø¯ Ø§Ù„Ø¹Ø±Ø¨ÙŠÙ‡ ÙˆÙ‡Ù†Ø§Ø®Ø¯Ù‡Ø§ ØªØ§Ù†ÙŠ Ø¨Ø¹Ø¯ Ø§Ù„Ø¹ÙŠØ¯ ÙˆÙ†Ø´ÙˆÙ ÙÙŠÙ‡Ø§ Ø§ÙŠÙ‡. Ø¨Ø¹Ø¯ ÙƒØ¯Ù‡ Ø£ØªØ´ÙØª Ù‚Ø·Ø¹ Ø¨Ø§Ù„ÙØ±Ø´ Ø§Ù„Ø¯Ø§Ø®Ù„ÙŠ Ù„Ù„Ø³ÙŠØ§Ø±Ù‡ ÙÙˆÙ‚ Ø§Ù„Ù…Ù‚Ø¹Ø¯ Ø¨Ø¬ÙˆØ§Ø± Ø§Ù„Ø³Ø§Ø¦Ù‚ â€“ Ø¨Ø¹Ø¯ Ø§Ù„Ø¹ÙŠØ¯ Ø±Ø­Øª Ø¨Ù†ÙØ³ÙŠ ÙˆØ§Ù„Ù…Ù‡Ù… ÙˆØ¹Ø¯ÙˆÙ†ÙŠ Ø¨Ø£ØµÙ„Ø§Ø­ Ø§Ù„Ù…Ø´Ø§ÙƒÙ„ ÙˆÙ‚Ø§Ø¨Ù„Øª Ù…Ø¯ÙŠØ± Ø§Ù„Ø®Ø¯Ù…Ù‡ ÙˆØ·Ù„Ø¨ Ø£Ø¨Ù‚Ø§Ø¡ Ø§Ù„Ø³ÙŠØ§Ø±Ù‡ Ù„Ù„ØªÙ†Ø¸ÙŠÙ ÙˆØªØºÙŠÙŠØ± Ø§Ù„Ø³Ù‚Ù Ù„Ùˆ Ù…ØªÙˆØ§Ø¬Ø¯ ÙˆÙ‚Ø§Ù„ÙŠ Ø¹Ù†Ø¯Ù‡ Ù…ÙØ§Ø¬Ø§Ù‡ ÙˆÙˆÙˆØ¬Ø¯ Ø§Ù„Ø³Ù‚Ù Ø§Ù„Ø£ØµÙ„ÙŠ. Ø£ÙƒØªØ´ÙØªØªØ±ÙƒÙŠØ¨ Ø³Ù‚Ù Ù‚Ù…Ø§Ø´ Ù…Ø®ØªÙ„Ù Ø¹Ù† Ø´Ø³Ù‚Ù Ø§Ù„Ø¹Ø±Ø¨ÙŠÙ‡ â€“ ÙˆÙ‚Ø·Ø¹ Ø£Ø®Ø± ÙÙŠ Ù…ÙƒØ§Ù† Ø£Ø®Ø± " Ø§Ù„ØºØ·Ø§Ø¡ Ø§Ù„Ø¯Ø§Ø®Ù„ÙŠ Ù„Ù„Ø¨Ø§Ù†ÙˆØ§Ù…Ø§ â€“ ÙƒØ³Ø± Ø¨Ø§Ù„Ø³Ù…Ø§Ø¹Ù‡ Ø§Ù„ØµØºÙŠØ±Ù‡ Ø¹Ù†Ø¯ Ø§Ù„Ù‚Ø§Ø¦Ù… â€“ ÙˆØ·Ø¨Ø¹Ø§ Ø§Ù„Ø³Ø±ÙˆØ¬ÙŠ Ø¯Ø§ÙƒÙƒ Ø§Ù„ÙØ±Ø´ Ø§Ù„Ø¯Ø§Ø®Ù„ÙŠ ÙˆØ«Ø±Øª Ø·Ø¨Ø¹Ø§ ÙˆÙƒÙ„Ù…Øª Ù…Ø¯ÙŠØ± Ø§Ù„Ø®Ø¯Ù…Ù‡ ÙØ¶Ø­Ùƒ ÙˆÙ‚Ø§Ù„Ù„ÙŠ Ù„Ø§ ØªÙ‚Ù„Ù‚ Ø£Ù†Ø§ Ù‡Ø·Ù„Ø¨ Ø§Ù„Ø³Ù‚Ù Ø§Ù„Ø£ØµÙ„ÙŠ ÙˆÙ‡Ø§Ø²Ø¨Ø· Ø§Ù„Ø¯Ù†ÙŠØ§ ØŸØŸØŸ!! With reference to our previous telephone conversation. Consequently In the process of providing our Mercedes-Benz customers always with the best experience we would like to inform you that the headliner and antenna have been ordered for your vehicle especially from Germany , as soon as we received it we will establish a contact with you directly for the replacement. Subsequent to our assuring by overcoming the problem of your vehicle which we have reached to satisfied results. ÙˆØ£ÙƒØªØ´ÙØª Ø§Ù†Ù‡Ù… ÙÙŠ ÙƒÙ„ Ø±Ø¯ÙˆØ¯Ù‡Ù… Ù„Ø§ ÙŠØ°ÙƒØ±ÙˆØ§ Ù…ÙˆØ¶ÙˆØ¹ Ø§Ù„Ø³Ù‚Ù Ø£Ø·Ù„Ø§Ù‚Ø§ ÙˆÙ„ÙƒÙ† ÙƒÙ„ ÙƒÙ„Ø§Ù…Ù‡Ù… Ø¹Ù† Ù…Ø´ÙƒÙ„Ù‡ Ø¨Ø³ÙŠØ·Ù‡ Ø£Ø®Ø±ÙŠ ÙˆÙ‡ÙŠ Ø£Ø¹Ø§Ø¯Ù‡ Ø£Ø±ÙŠØ§Ù„ Ø§Ù„Ø³ÙŠØ§Ø±Ù‡ "Ø§Ù„Ù…Ø³Ø±ÙˆÙ‚" Ù…Ù† Ø§Ù„Ù…Ø±ÙƒØ² ÙˆÙŠØ´ÙŠØ±ÙˆØ§ Ø§Ù„ÙŠ Ù…Ø´ÙƒÙ„Ù‡ Ø§Ù„Ø³Ù‚Ù Ø¨Ø§Ù„Ù…Ø´Ø§ÙƒÙ„ Ø§Ù„Ø£Ø®Ø±ÙŠ â€“ Ø£Ù†Ø§ Ù…Ø´ Ø¹Ø§Ø±Ù Ø§Ù„Ù†Ø§Ø³ Ø¯ÙŠ Ù‡ØªÙ‚Ø§Ø¨Ù„ Ø±Ø¨Ù†Ø§ Ø£Ø²Ø§ÙŠ ÙˆÙ…Ø´ Ø¹Ø§Ø±Ù Ø£Ø¹Ù…Ù„ Ø§ÙŠÙ‡ ! Ø­ØªÙŠ Ù…Ø¯ÙŠØ± Ø®Ø¯Ù…Ù‡ Ù…Ø§ Ø¨Ø¹Ø¯ Ø§Ù„Ø¨ÙŠØ¹ Ø§Ù„Ø£Ø¬Ù†Ø¨ÙŠ ÙÙŠ Ù…Ø±Ø³ÙŠØ¯Ø³ Ù…ØµØ± Ø§Ù„ÙŠ Ù‡Ù… Ø§Ù„Ù…ÙØ±ÙˆØ¶ Ø±Ù‚ÙŠØ¨ Ø¹Ù„ÙŠÙ‡Ù… Ù…Ø´ Ø¹Ø§ÙŠØ² ÙŠØªØ¯Ø®Ù„ Ø£Ùˆ ÙŠØ¨Ø¹Øª Ù…Ù‡Ù†Ø¯Ø³ ÙŠØ¹Ø§ÙŠÙ† Ø§Ù„Ø³ÙŠØ§Ø±Ù‡ ÙˆØ¨ÙŠÙ‚ÙˆÙ„ Ø§Ù„Ø³Ù‚Ù Ù‡ÙŠØ§Ø®Ø¯ ÙˆÙ‚Øª Ø¹Ù„Ø´Ø§Ù† Ø§Ù„Ø¬Ù…Ø§Ø±Ùƒ ÙˆØ·Ø±ÙŠÙ‚Ù‡ ÙƒÙ„Ø§Ù…Ù‡ â€“ Ø§Ù†Ø§ Ù…Ø´ Ù…ØµØ¯Ù‚ Ø§Ù„Ù…Ø¹Ø§Ù…Ù„Ù‡ Ø¯ÙŠ ÙÙŠ Ù…Ø±Ø³ÙŠØ¯Ø³ !!! Ù…ØµØ±ÙŠÙŠÙ† ÙˆØ£Ø¬Ø§Ù†Ø¨ ÙˆØ£ÙˆØ¯ Ø£Ø±Ø³Ø§Ù„ Ø§Ù„Ù…Ø±Ø§Ø³Ø§Ù„Ø§Øª Ø¨ÙŠÙ†Ù†Ø§ Ø¹Ù„Ø´Ø§Ù† ØªØ´ÙˆÙÙˆÙ‡Ù… Ø¨Ø§Ù„ØªÙØµÙŠÙ„ ÙˆÙƒÙŠÙÙŠÙ‡ Ø§Ù„Ø±Ø¯ Ø¯Ù‡ Ù„Ùˆ Ø±Ø¯ÙˆØ§ Ø£ØµÙ„Ø§ ÙŠØ¹Ù†ÙŠ Ù…Ø«Ù„Ø§ Ø§Ù„Ø³ÙˆØ§Ù„ Ø¯Ù‡ Ø£Ù†Ø§ Ø¨Ø¹ØªÙ‡ Ù…Ù† ÙØªØ±Ù‡ Ø¨Ù„Ø§ Ø±Ø¯ Ù…Ù† Ø£ÙŠ Ø­Ø¯ Ù…Ø¹ Ø£Ù†Ù†Ø¨ÙŠ Ø­Ø§ØªØª Ø§Ù„Ø¹Ø¶Ùˆ Ø§Ù„Ù…Ù†ØªØ¯Ø¨ Ù„Ù…Ø±Ø³ÙŠØ¯Ø³ Ù…ØµØ± Ø´Ø®ØµÙŠØ§ ÙÙŠ Ø§Ù„Ù…ÙŠÙ„..
Why did you tell me that you have the original ceiling of the car , while you donâ€™t and you changed the car's ceiling with a temporary one without asking ?!!! I have sent you an SMS on air last Tuesday regarding the 3 cars I have from VW (Jetta 2011, Suran 2010 and POLO HB 2009), my complaint is regarding the POLO and the Suran. First, the POLO HB 2009, the car is very good, with very nice options, perfect for a small family, (it is owned by my wife), after 2 years of using (purchased in February 2009 and all services was done at VW El Obour) we faced an issue with Radiator Fan, it does not turn off after shutting the engine down. I went to the service center who said that it may be the Fan Resistance but we do not have right now, so we have revised the cables and we found that one of the connections was loose so we have re-fixed it, check it and if the issue shown again contact us, after few days the same issue shown again, I went again and after checking they told me that it is the Fan resistance, I said OK lets change it (and I had a discussion that it is not a user problem so I asked that they may pay for it but they refused). Anyway after a while the service engineer came back and told me that was not the Fan resistance, yours is doing fine, it is the air condition control part, I asked how much does it cost, people at the spare parts told me its 1400 Egp (only 200 Egp difference with the fan resistance). I said Ok go ahead, after completing the Job (almost 5:00 pm) I went to pay, they told me please pay 4,878 Egp! I said what for? They said that is the cost of the AC control, I went back to the spare parts office they told me that the employee had done a mistake telling you a wrong number, I did not have the money, so they decided to take off the spare part asking me to come back tomorrow to check the issue with the maintenance leader, that what was done and when I came back I had a discussion about the cost asking them to pay for it as it is not a user issue at all, in addition that the AC is working properly. I made a complain at the Customer Service Hotline, the reply i had is that we can make a 20% discount thatâ€™s it. The problem is I took the car and I went to an external center, they told me that the problem is in the Fan itself and when they have changed it (500 Egp) the problem was solved and the issue disappeared. 2- Wrong diagnosis (this the worst thing). 3- Unprofessional Customer Service Attitude. The car is still in the warranty period, the radio CD (attached to the multi function wheel), is not working, and for more than 8 month, they did not get it, with many excuses, and very stupid solutions, like we may get a pioneer instead but will be not connected to the wheel controllers, really do not know what to do. 2- Unprofessional Customer Service Attitude. The question is do you think that I will be comfortable doing the service for my brand new Jetta at this bad service center, I do not think so. They are putting VW name to the ground , I am really telling all of my friends that the VW car is great but the service center is the worst place ever, my advice is not to get a VW Car Ever. Please help me in raising this issue to VW Head Quarter, so they can have a real feedback about the bad service done in Cairo Branch. Sorry for my long e-mail. Iâ€™m planning to buy the new jeep wrangler, it will be my first time to own a 4x4. 1. What is the most common feedback your received about the new wrangler. 2. Is there any problems concerning the car's assembly in Egypt, as there are a lot of owners selling their very new cars. 3. Wrangler is a heavy duty off-road vehicle, but is it a good choice for the city daily use. 4. What is the actual fuel consumption (city/highway), as most of the data written in the cars specs are somehow theoretical. thanks and looking for to hearing from you soon. The problem begins when I tried to syncronize between my mobile phone set and screen at the middle unit of the car. Which is not reading any of my contacts, and when I tried to get this solved by the agency at "Der el malak", they said its a software problem that they can't solve. The second issue I'm facing that when I tried to activate the radio navigation system at the agency, they failed to do so saying that it is a problem with Egypt Telecom network coverage! which is something weired for me a bit. So I'm seeking your help to find out a solution for those two issues. we will forward your complaint to Skoda and will try to find a solution for that. Please feel free to sms or call us during our live-program on Radio Masr 88.7 next Tuesday. thanks for your message. We will forward your complaint to General Motors Egypt - Mansour Chevrolet. I am sure they will call you soon. Keep us updated with your case and feel free to sms or call us next Tuesday during our live-program on Radio MAsr 88.7. Ø£ÙˆØ¯ Ø£Ù† Ø£Ø¹Ø±Ø¶ Ù…Ø´ÙƒÙ„ØªÙ‰ Ø¥Ù„Ù‰ Ù…Ù† ÙŠÙ‡Ù…Ù‡ Ø§Ù„Ø³Ù…Ø§Ø¹ ÙˆØ§Ù„Ø£Ø®Ø° ÙÙ‰ Ø§Ù„Ø¥Ø¹ØªØ¨Ø§Ø± Ø­ÙŠØ« Ø£Ù† Ø°Ù‡Ø¨Øª Ø¨Ø³ÙŠØ§Ø±ØªÙ‰ Ø§Ù„Ø¨Ø§Ø³Ø§Øª Ø¥Ù„Ù‰ Ø§Ù„ÙˆÙƒÙŠÙ„ ÙˆÙ‡Ùˆ Ø§Ù„Ø´Ø±ÙƒØ© Ø§Ù„Ù…ØµØ±ÙŠØ© Ø£ØªÙˆÙ…ÙˆØªÙŠÙ Ù„Ø¹Ù…Ù„ ÙƒØ´Ù Ø¹Ù„Ù‰ Ø§Ù„Ø³ÙŠØ§Ø±Ø© ÙÙ‰ Ù…Ø±ÙƒØ² Ø§Ù„Ø®Ø¯Ù…Ø© ÙÙ‰ Ù…Ø¯ÙŠÙ†Ø© Ø§Ù„Ø¹Ø¨ÙˆØ±. ÙˆØ§Ù„Ù…Ø´ÙƒÙ„Ø© ØªØªÙƒÙˆÙ† ÙÙ‰ Ø£Ù†Ù†Ù‰ ØªØ±ÙƒØª Ø¨Ø¹Ø¶ Ø§Ù„Ø£ØºØ±Ø§Ø¶ Ø§Ù„Ø«Ù…ÙŠÙ†Ø© Ø¯Ø§Ø®Ù„ Ø§Ù„Ø³ÙŠØ§Ø±Ø© Ø¹Ù†Ø¯Ù…Ø§ Ø¥Ø³ØªÙ„Ù… Ù…Ù†Ù‰ Ø§Ù„Ù…Ù‡Ù†Ø¯Ø³ Ø§Ù„Ù…Ø³Ø¦ÙˆÙ„ Ø§Ù„Ø³ÙŠØ§Ø±Ø©. ÙˆØ¹Ù†Ø¯Ù…Ø§ Ø¥Ø³ØªÙ„Ù…Øª Ø§Ù„Ø³ÙŠØ§Ø±Ø© Ù„Ù… Ø£Ø¶Ø¹ ÙÙ‰ Ø§Ù„Ø¥Ø¹ØªØ¨Ø§Ø± Ø§Ù„ÙƒØ´Ù Ø¹Ù„Ù‰ Ù…Ù‚ØªÙ†ÙŠØ§ØªÙ‰ Ø§Ù„Ø´Ø®ØµÙŠØ© Ø¯Ø§Ø®Ù„ Ø§Ù„Ø³ÙŠØ§Ø±Ø© Ù„Ø£Ù†Ù†Ù‰ ÙƒÙ†Øª Ø£Ø«Ù‚ Ù…Ù„ÙŠÙˆÙ† Ø¨Ø§Ù„Ù…Ø§Ø¦Ø© Ø£Ù†Ù‡ Ù…Ù† Ø§Ù„Ø·Ø¨ÙŠØ¹Ù‰ Ø£Ù† Ù„Ù† ÙŠÙ†Ù‚Øµ Ø´Ù‰Ø¡ Ù…Ù† Ø§Ù„Ø³ÙŠØ§Ø±Ø© Ù„Ø£Ù†Ù†Ù‰ Ø£Ø«Ù‚ ÙÙ‰ Ø§Ù„Ù…ÙƒØ§Ù† ÙˆØ§Ù„ØªÙˆÙƒÙŠÙ„ Ø§Ù„Ø°Ù‰ ÙŠØªØ¹Ø§Ù…Ù„ Ù…Ø¹Ù‡ Ø¬Ù…ÙŠØ¹ Ù…Ø³ØªØ®Ø¯Ù…Ù‰ Ø³ÙŠØ§Ø±Ø§Øª Ø§Ù„ÙÙˆÙ„ÙƒØ³ ÙØ§Ø¬ÙˆÙ† ÙˆØ§Ù„Ø£ÙˆØ¯Ù‰. ÙˆÙ„ÙƒÙ†Ù†Ù‰ ÙÙ‰ Ù…Ø³Ø§Ø¡ Ù†ÙØ³ Ø§Ù„ÙŠÙˆÙ… Ø¥ÙƒØªØ´ÙØª Ù…Ù‚ØªÙ†ÙŠØ§ØªÙ‰ ØºÙŠØ± Ù…ÙˆØ¬ÙˆØ¯Ø© Ø«Ù… ØªÙ… Ø¹Ù…Ù„ Ø§Ù„Ø¥ØªØµØ§Ù„ Ù…Ø¹ Ø§Ù„Ù…Ù‡Ù†Ø¯Ø³ Ø§Ù„Ø°Ù‰ Ø¥Ø³ØªÙ„Ù… Ø§Ù„Ø³ÙŠØ§Ø±Ø© ÙˆÙ‚Ø§Ù„ Ù„Ù‰ Ø£Ù†Ù‡ Ø³ÙˆÙ ÙŠÙ†Ø¸Ø± Ø§Ù„Ù…ÙˆØ¶ÙˆØ¹ ÙÙ‰ Ø§Ù„ÙŠÙˆÙ… Ø§Ù„ØªØ§Ù„Ù‰ . ÙØ°Ù‡Ø¨Øª ÙÙ‰ Ø§Ù„ÙŠÙˆÙ… Ø§Ù„ØªØ§Ù„Ù‰ Ù„Ø£Ø¹Ø±Ù Ù…Ø§Ø°Ø§ Ø­Ø¯Ø« ÙÙ‚Ø§Ù„ Ù„Ù‰ Ù…Ø¯ÙŠØ± Ø§Ù„ØµÙŠØ§Ù†Ø© ÙˆØ§Ù„Ù…Ù‡Ù†Ø¯Ø³ Ø§Ù„Ù…Ø³Ø¦ÙˆÙ„ Ø£Ù†Ù‡ ÙŠÙˆØ¬Ø¯ Ù„Ø§ÙØªØ§Øª ØªÙ‚ÙˆÙ„ Ø£Ù† Ø§Ù„Ø´Ø±ÙƒØ© ØºÙŠØ± Ù…Ø³Ø¦ÙˆÙ„Ø© Ø¹Ù† Ø£Ù‰ Ù…Ù‚ØªÙ†ÙŠØ§Øª ØªÙÙ‚Ø¯ Ø¯Ø§Ø®Ù„ Ù…Ø±ÙƒØ² Ø§Ù„ØµÙŠØ§Ù†Ø© (ÙˆÙ‡Ù„ Ù‡Ø°Ø§ Ù…Ù†Ø·Ù‚Ù‰). ÙÙ‚Ù…Øª Ù…Ø¹ Ø§Ù„Ù…Ù‡Ù†Ø¯Ø³ Ø§Ù„Ù…Ø³Ø¦ÙˆÙ„ Ø¹Ù† Ø§Ù„ØµÙŠØ§Ù†Ø© ÙˆØ°Ù‡Ø¨Ù†Ø§ Ù„Ù„ØªØ­Ø¯Ø« Ù…Ø¹ Ø§Ù„Ù…Ù‡Ù†Ø¯Ø³ Ø§Ù„Ø°Ù‰ Ø¥Ø³ØªÙ„Ù… Ø§Ù„Ø³ÙŠØ§Ø±Ø© Ù…Ù†Ù‡ Ù„Ù„ÙƒØ´Ù Ø¹Ù„ÙŠÙ‡Ø§ Ø¯Ø§Ø®Ù„ Ù…Ø±ÙƒØ² Ø§Ù„ØµÙŠØ§Ù†Ø© ÙˆÙ‚Ø§Ù„ Ù„Ù‰ Ø£ÙŠØ¶Ø§Ù‹ Ø£Ù†Ù†Ù‰ Ø¥Ø³ØªÙ„Ù…Øª Ø§Ù„Ø³ÙŠØ§Ø±Ø© ÙˆÙ„Ù… Ø£Ø¬Ø¯ Ø¨Ù‡Ø§ Ø´ÙŠØ¦Ø§Ù‹ØŒ ÙØ³Ø£Ù„ØªÙ‡ Ø¹Ù† Ø¨Ø¹Ø¶ Ø§Ù„Ø£Ø´ÙŠØ§Ø¡ ÙƒØ§Ù†Øª Ù…Ø§Ø²Ø§Ù„Øª Ù…ØªÙˆØ§Ø¬Ø¯Ø© Ø¨Ø¹Ø¯ Ø§Ù„ØµÙŠØ§Ù†Ø© ÙÙ‚Ø§Ù„ Ø£Ù†Ù‡ Ù„Ù… ÙŠØ±Ø§Ù‡Ø§ ÙØªØ£ÙƒØ¯Øª Ø£Ù†Ù‡ Ù„Ù… ÙŠØ³ØªÙ„Ù… Ø§Ù„Ø³ÙŠØ§Ø±Ø© ÙƒÙ…Ø§ Ù‚Ø§Ù„. ÙˆØ¨Ø§Øª Ø§Ù„Ø­Ø¯ÙŠØ« Ø¨Ù„Ø§ Ø¬Ø¯ÙˆÙ‰ Ù…Ø¹ Ù…Ø³Ø¦ÙˆÙ„ÙŠÙ† Ù…Ø±ÙƒØ² Ø§Ù„ØµÙŠØ§Ù†Ø© ÙÙ‚Ø§Ù„ÙˆØ§ Ù„ÙŠØ³ Ù…Ù† Ø§Ù„Ù…Ù…ÙƒÙ† Ø£Ù† ØªÙÙÙ‚Ø¯ Ø´Ù‰Ø¡ Ø¯Ø§Ø®Ù„ Ù…Ø¨Ù†Ù‰ Ù…Ø±ÙƒØ² Ø§Ù„ØµÙŠØ§Ù†Ø©. ÙˆÙÙ‰ Ø§Ù„Ø­Ù‚ÙŠÙ‚Ø© ØªØ±ÙƒØªÙ‡Ù… ÙˆØ£Ù†Ø§ ØºØ§Ø¶Ø¨ Ø¬Ø¯Ø§Ù‹ Ù…Ù† Ø§Ù„Ù…ÙˆÙ‚Ù Ù„Ø£Ù†Ù†Ù‰ Ù„Ù… Ø£ØªÙˆÙ‚Ø¹ Ø­Ø¯ÙˆØ« Ù…Ø«Ù„ Ù‡Ø°Ù‡ Ø§Ù„ØªØµØ±ÙØ§Øª ÙÙ‰ Ù…ÙƒØ§Ù† Ù…Ù† Ø§Ù„Ù…ØªÙˆÙ‚Ø¹ Ø£Ù†Ù‡ Ù…Ø­ØªØ±Ù…. unfortunately this is not the first time we hear about such thefts at the service center of Volkswagen Egypt / Egyptian Automotive Company. We highly recommend that you file a report at the Oboor Police Station next to the service center, as they already have several similar cases. Please send us an SMS to 8870 next Tuesday between 4-7pm and try to call us to join us on air and share your horrible experience with our listeners. Thanks Mr. Sheta for your Radio show and i hope that it will be made twice a week, i am willing to buy new car (i prefer to be 4x4 but the problem that this category is expensive for me) and i am a bit hestitating between SKoda Octavia, Nissan X-trail and Kia Sportage1600, could you please advice in terms of Car performance, spare parts prices and service center quality? we will forward your complaint to Hyundai. I am sure they will find a solution for your problem. Ø§Ø±Ø¬Ùˆ Ø§Ø°Ø§Ø¹Ø© Ù…Ø´ÙƒÙ„ØªÙ‰ ÙÙ‰ Ø¨Ø±Ù†Ø§Ù…Ø¬ÙƒÙ… Ø§Ù„Ù„Ù‰ Ø¨ÙŠÙŠØ¬Ù‰ ÙƒÙ„ ÙŠÙˆÙ… Ø«Ù„Ø§Ø«Ø§Ø¡ Ø¹Ø´Ø§Ù† Ø§Ù†Ø§ Ù…Ø¹Ø¬Ø¨ Ø¨Ø§Ù„Ø¨Ø±Ù†Ø§Ù…Ø¬ Ø¬Ø¯Ø§ ÙˆÙ…Ø´ Ø¹Ø§Ø±Ù Ø§ÙƒÙ„Ù…ÙƒÙ… Ø®Ø§Ù„Øµ - Ø§Ù†Ø§ Ø§Ù…ØªÙ„Ùƒ Ø³ÙŠØ§Ø±Ø© ÙÙˆÙ„ÙƒØ³ ÙØ§Ø¬Ù† Ø¬ÙŠØªØ§ Ø®Ù„ÙŠØ¬Ù‰ ØŒ Ø¨Ø¹Ø¯ Ù…Ø§ Ø§Ø´ØªØ±ÙŠØª Ø§Ù„Ø¹Ø±Ø¨ÙŠØ© ÙˆØ¹Ù…Ù„Øª 1000 ÙƒÙ… Ø±Ø­Øª Ø§Ù„ØªÙˆÙƒÙŠÙ„ Ø¹Ø´Ø§Ù† Ø§Ø´ÙˆÙ Ù„Ùˆ ÙÙ‰ Ø³ÙŠØ±ÙØ³ ÙˆØ§Ø¸Ø¨Ø· Ø²ÙˆØ§ÙŠØ§ ÙØ³Ø¬Ù„Øª Ø§Ù„Ø¹Ø±Ø¨ÙŠØ© Ø¹Ù„Ù‰ Ø§Ù„ÙƒÙ…Ø¨ÙŠÙˆØªØ± ÙˆØ¯Ø®Ù„ØªÙ‡Ø§ ÙˆØ¸Ø¨Ø·Øª Ø§Ù„Ø²ÙˆØ§ÙŠØ§ ÙˆÙØ§ØªØª Ù…Ø¯Ø© ÙˆØ§Ù„Ø¹Ø±Ø¨ÙŠØ© ÙˆØµÙ„Øª Ù„Ù€ 4800 ÙƒÙ… ÙˆØ§ØªØµÙ„Øª Ø¨Ø§Ù„ØµÙŠØ§Ù†Ø© Ø¹Ø´Ø§Ù† Ø§Ø­Ø¬Ø² Ù…Ø¹Ø§Ø¯ Ù„Ø®Ø¯Ù…Ø© Ø§Ù„Ù€ 5000 ÙƒÙ… ÙÙÙˆØ¬Ø¦Øª Ø¨Ù€ Ø§Ù„ÙƒÙˆÙ„ Ø³Ù†ØªØ± Ø¨ÙŠØ¨Ù„ØºÙ†Ù‰ Ø§Ù†Ù‰ Ù„Ø§Ø²Ù… Ø§Ø¯ÙØ¹ Ù…Ø¨Ù„Øº 7500 Ø¨Ø§Ù„Ø¶Ø±Ø§ÙŠØ¨ Ø§ÙˆÙ„Ø§ ÙÙŠÙ…Ø§ ÙŠØ¯Ø¹Ù‰ Ø¨Ù€ ( ØªØ³Ø¬ÙŠÙ„ Ø§Ù„Ø³ÙŠØ§Ø±Ø© ) !! Ø¹Ø´Ø§Ù† Ø§ØªÙ…ÙƒÙ† Ù…Ù† Ø¯Ø®ÙˆÙ„ Ù…Ø±ÙƒØ² Ø§Ù„ØµÙŠØ§Ù†Ø© ÙˆØ¹Ù…Ù„ Ø§Ù„Ø®Ø¯Ù…Ø© ÙˆÙ„Ø§Ø²Ù… Ø§Ù„Ù…Ø¨Ù„Øº ÙŠØ¯ÙØ¹ Ù‚Ø¨Ù„ Ø§Ù„ØµÙŠØ§Ù†Ø© ÙØ­Ø§ÙˆÙ„Øª Ø§Ø·Ù„Ø¨ Ù…Ù†Ù‡Ù… ØªØ£Ø¬ÙŠÙ„ Ø§Ù„Ù…Ø¨Ù„Øº Ø§Ùˆ ØªÙ‚Ø³ÙŠÙ…Ù‡ Ø¹Ø´Ø§Ù† Ø§Ù†Ø§ Ù…Ø´ Ø¹Ø§Ù…Ù„ Ø­Ø³Ø§Ø¨Ù‰ ÙˆÙ…Ø­Ø¯Ø´ Ø¨Ù„ØºÙ†Ù‰ Ù…Ø¹ Ø§Ù„Ø¹Ù„Ù… Ø§Ù† Ø§Ù„Ù‚Ø±Ø§Ø± Ø·Ù„Ø¹ Ø¨Ø¹Ø¯ Ù…Ø§ Ø¹Ù…Ù„Øª ØµÙŠØ§Ù†Ø© Ø§Ù„Ù€ 1000 ÙƒÙ… ÙˆÙƒÙ†Øª Ù…Ø³Ø¬Ù„ Ø§Ù„Ø¹Ø±Ø¨ÙŠØ© Ø¹Ù†Ø¯Ù‡Ù… Ø§ØµÙ„Ø§ ÙˆØ§Ø±Ù‚Ø§Ù… ØªÙ„ÙŠÙÙˆÙ†Ø§ØªÙ‰ Ø¹Ù†Ø¯Ù‡Ù… ÙˆØ³Ø£Ù„Øª Ù‡Ù„ Ø§Ù„Ù…Ø¨Ù„Øº Ø¹Ù‚Ø¯ ØµÙŠØ§Ù†Ø© ØŸ Ø§Ùˆ ØªØ®ÙÙŠØ¶ Ø§Ø³Ø¹Ø§Ø± Ø§Ù„ØµÙŠØ§Ù†Ø© ÙÙŠÙ…Ø§ Ø¨Ø¹Ø¯ ØŸ Ø¹Ø´Ø§Ù† Ø²Ù‰ Ù…Ø§ Ø§Ù†ØªÙˆ Ø¹Ø§Ø±ÙÙŠÙ† Ø§Ù„Ø¹Ø±Ø¨ÙŠØ§Øª Ø§Ù„Ø®Ù„ÙŠØ¬Ù‰ Ø¨ÙŠØ§Ø®Ø¯Ùˆ Ø¹Ù„ÙŠÙ‡Ø§ Ù…Ø¨Ø§Ù„Øº Ø§ÙƒØ¨Ø± ÙÙ‰ ØªØºÙŠÙŠØ± Ø§Ù„Ø²ÙŠÙˆØª ÙˆÙÙ‰ ÙƒÙ„ Ø­Ø§Ø¬Ù‡ Ø§Ù†Ø§ ÙƒÙ†Øª Ù…ÙˆØ§ÙÙ‚ Ø¹Ù„Ù‰ Ù…Ø¨Ø¯Ø£ Ø§Ù„Ø¯ÙØ¹ Ù…Ø¹ Ø§Ù†Ù‡ Ù…Ø¬Ø­Ù Ù„Ùˆ Ù‡ÙˆÙ‘Ù‡ Ø­Ø§Ø¬Ù‡ Ù‚Ø§Ù†ÙˆÙ†ÙŠØ© Ø§Ù†Ø§ Ø·Ù„Ø¨Øª Ø¬Ø¯ÙˆÙ„ØªÙ‡ ÙÙ‚Ø· Ø­ØªÙ‰ Ù„Ùˆ Ø¹Ù„Ù‰ Ù…Ø±ØªÙŠÙ† ÙˆÙ„Ùˆ Ù…ÙƒÙ…Ù„ØªØ´ Ø§Ù„Ù…Ø¨Ù„Øº ÙÙ‰ ØµÙŠØ§Ù†Ø© Ø§Ù„Ù€ 15000 ÙƒÙ… Ø§Ø¨Ù‚Ù‡ Ø§Ù„ØºÙ‰ Ø§Ù„ØµÙŠØ§Ù†Ù‡ Ø¨Ø³ Ø­Ø§ÙˆÙ„Øª Ù…Ø±Ø§Ø±Ø§ ÙˆØªÙƒØ±Ø§Ø±Ø§ ÙˆÙ…ÙƒÙ†Ø´ ÙÙ‰ ÙØ§ÙŠØ¯Ø© ( Ø§Ù…Ø§ Ø§Ø¯ÙØ¹ Ø§Ùˆ Ø§Ù„Ø¹Ø±Ø¨ÙŠØ© ØªÙ‚Ù ) ØŒ Ø¨Ø¹ØªØª Ø§ÙŠÙ…ÙŠÙ„Ø§Øª Ù„Ø£ÙƒØ¨Ø± 4 Ù‚ÙŠØ§Ø¯Ø§Øª ÙÙ‰ Ø§Ù„ØªÙˆÙƒÙŠÙ„ ÙˆØ·Ø¨Ø¹Ø§ Ù…Ø­Ø¯Ø´ Ø±Ø¯ Ø¹Ù„ÙŠÙ‘Ù‡ ØŒ Ù…ÙƒÙ†Ø´ Ø§Ù…Ø§Ù…Ù‰ ØºÙŠØ± Ø§Ù†Ù‰ Ø§Ø­Ø§ÙˆÙ„ Ø§Ø³ØªÙØ³Ø± Ù…Ù† Ø§Ù„Ø´Ø±ÙƒØ© Ø§Ù„Ø§Ù… Ø¹Ù† Ø·Ø¨ÙŠØ¹Ø© Ø§Ù„Ù…Ø¨Ù„Øº Ø¯Ù‡ ÙØ¨Ø¹ØªØª Ø§ÙŠÙ…ÙŠÙ„ Ù„ÙˆØ§Ø­Ø¯ ÙÙ‰ Ø®Ø¯Ù…Ø© Ø§Ù„Ø¹Ù…Ù„Ø§Ø¡ ÙÙ‰ Ø§Ù„Ø´Ø±ÙƒØ© Ø§Ù„Ø§Ù… ÙƒÙ†Øª Ø±Ø§Ø³Ù„ØªÙ‡ Ù‚Ø¨Ù„ ÙƒØ¯Ù‡ Ø¨Ø±Ù‚Ù… Ø´Ø§Ø³ÙŠÙ‡ Ø¹Ø±Ø¨ÙŠØªÙ‰ Ø¹Ø´Ø§Ù† Ø§Ø¹Ø±Ù Ù‡ÙŠÙ‘Ù‡ ØªØµØ¯ÙŠØ± Ø¯ÙˆÙ„Ø© Ø§ÙŠÙ‡ ÙÙ‰ Ø§Ù„Ø®Ù„ÙŠØ¬ ÙˆÙƒØ§Ù† Ø±Ø¯Ù‘ Ø¹Ù„ÙŠÙ‘Ù‡ Ø·Ø¨Ø¹Ø§ ( Ù„Ø§Ø­Ø¸ Ø§Ù„ÙØ±Ù‚ ) ÙÙ„Ù‚ÙŠØª Ø§Ù„Ø±Ø§Ø¬Ù„ ØªØ±Ùƒ Ø§Ù„ÙˆØ¸ÙŠÙØ© ÙÙ‰ Ø§Ù„Ø´Ø±ÙƒØ© ÙˆØ¨Ø¹ØªÙ„Ù‰ Ù‚Ø§Ù„Ù„Ù‰ Ø§Ù†Ù‡ Ù‡ÙŠØ¨Ø¹Øª Ø§Ù„Ù…ÙŠÙ„ Ø¨ØªØ§Ø¹Ù‰ Ù„Ø²Ù…Ù„Ø§Ø¦Ù‡ ÙÙ‰ Ø§Ù„Ø´Ø±ÙƒØ© ÙˆÙØ¹Ù„Ø§ Ø¨Ø¹Ø¯ 3 Ø§ÙŠØ§Ù… ÙˆÙÙ‰ ÙƒÙ„ Ø§Ù„ØªØ²Ø§Ù… Ù„Ù‚ÙŠØª Ø±Ø¯Ù‘ Ù…Ù† Ø§Ù„Ø´Ø±ÙƒØ© Ø§Ù„Ø§Ù… Ø¨ÙŠÙ‚ÙˆÙ„ Ø§Ù† Ø§Ù„Ù…Ø¨Ù„Øº Ø¯Ù‡ Ù…Ù„Ù‡Ù…Ø´ Ø§Ù‰ Ø¹Ù„Ø§Ù‚Ø© Ø¨ÙŠÙ‡ ÙˆØ§Ù† Ø¯Ù‰ Ø­Ø§Ø¬Ù‡ Ø¨ÙŠÙ† Ø§Ù„ØªÙˆÙƒÙŠÙ„ ÙˆØ­Ù…Ø§ÙŠØ© Ø§Ù„Ù…Ø³ØªÙ‡Ù„Ùƒ ÙÙ‰ Ù…ØµØ± !! ÙˆÙƒÙ…Ø§Ù† Ù‡ÙŠØ¨Ø¹ØªÙˆØ§ Ø§Ù„Ù…ÙŠÙ„ Ø¨ØªØ§Ø¹Ù‰ Ù„Ù„Ø´Ø±ÙƒØ© ÙÙ‰ Ù…ØµØ± Ø¹Ø´Ø§Ù† ÙŠØªØ§Ø¨Ø¹Ùˆ Ù…Ø´ÙƒÙ„ØªÙ‰ ÙˆÙƒÙ†Øª Ø®Ù„Ø§Øµ Ø¯ÙØ¹Øª Ø§Ù„Ù…Ø¨Ù„Øº ÙˆØ§Ø³ØªØ¹ÙˆØ¶Øª Ø±Ø¨Ù†Ø§ ÙˆÙÙŠÙŠÙŠÙŠÙ† Ø¨Ø¹Ø¯ Ø­ÙˆØ§Ù„Ù‰ Ø§Ø³Ø¨ÙˆØ¹ÙŠÙ† Ø§Ùˆ Ø§ÙƒØªØ± Ù„Ù‚ÙŠØª ÙˆØ§Ø­Ø¯ Ù…Ù† ÙØ±Ø¹ Ø§Ù„Ø¹Ø¨ÙˆØ± Ø¨ÙŠÙƒÙ„Ù…Ù†Ù‰ Ø¹Ù† Ø§Ù„Ù…Ø´ÙƒÙ„Ø© ÙˆØ¨ÙŠÙ‚ÙˆÙ„Ù„Ù‰ Ù†ÙØ³ Ø§Ù„Ø±Ø¯ ( Ø§Ù„Ù…Ø¨Ù„Øº Ø¹Ø¨Ø§Ø±Ø© Ø¹Ù† Ø±Ø³ÙˆÙ… ØªØ³Ø¬ÙŠÙ„ Ø§Ù„Ø³ÙŠØ§Ø±Ø© ) !!! Ø§Ù„Ù„Ù‰ Ø§Ù†Ø§ Ù…Ø³Ø¬Ù„Ù‡Ø§ Ø¨Ø§Ù„ÙØ¹Ù„ Ø¨Ø³ Ù…ÙƒÙ†Ø´ Ù…Ù†Ù‰ ØºÙŠØ± Ø§Ù†Ù‰ Ù‚Ø¨Ù„Øª Ø§Ù„ÙˆØ¶Ø¹ Ù„Ø£Ù†Ù‰ Ø­Ø³ÙŠØª Ø§Ù†Ù‡ Ø¹Ù‚Ø§Ø¨ Ù„Ù„Ù‰ Ø¨ÙŠØ´ØªØ±Ù‰ Ø¹Ø±Ø¨ÙŠØ§Øª Ø¨Ø±Ù‘Ù‡ Ø§Ù„Ø§Ø­ØªÙƒØ§Ø± Ù…Ø´ Ø§ÙƒØªØ± ÙˆÙ„Ø§ Ø§Ù‚Ù„ ØŒ Ø¨Ø¯Ù„ÙŠÙ„ Ø§Ù†Ù‰ Ù…Ø®Ø¯ØªØ´ Ø§Ù‰ Ù…ÙŠØ²Ø© Ø¨Ø§Ù„Ù€ 7000 Ø¬Ù†ÙŠÙ‡ + 500 Ø¶Ø±Ø§ÙŠØ¨ ØŒ ÙˆÙ…Ø·Ù„Ø¨ØªØ´ Ø§Ù‰ Ø®Ø¯Ù…Ø© ØªØªØ¹Ù„Ù‚ Ø¨Ø¹ÙŠÙˆØ¨ Ø§Ù„ØµÙ†Ø§Ø¹Ø© . Ø§Ø·Ù„Ø¨ Ù…Ù† Ø³ÙŠØ§Ø¯ØªÙƒÙ… Ø³Ø¤Ø§Ù„ Ø¨Ù‚ÙˆØ© Ø§Ù„Ø§Ø³ØªØ§Ø° Ø§Ù„Ù„Ù‰ Ø±ÙØ¶ ÙŠÙ‚ÙˆÙ„ Ø¨ÙŠØ¨ÙŠØ¹Ùˆ ÙƒØ§Ù… Ø¹Ø±Ø¨ÙŠÙ‡ ÙÙ‰ Ø§Ù„Ø³Ù†Ù‡ Ø¹Ù† Ù‡Ø°Ø§ Ø§Ù„Ù…Ø¨Ù„Øº ÙˆÙƒÙ…Ø§Ù† Ø§Ø­Ø¨ Ø§ÙˆØ¶Ø­ Ø§Ù†Ù‰ Ø³Ø¹ÙŠØ¯ Ø¬Ø¯Ø§ Ø§Ù† Ø§Ù„Ø´Ø±ÙƒØ© Ø§Ù„Ø§Ù… Ø±Ø¯Øª Ø¹Ù„ÙŠÙ‘Ù‡ ÙÙ‰ Ø­ÙŠÙ† Ø§Ù† ÙÙ‰ Ù…Ø±ÙƒØ² ØªÙ„Ù‚Ù‰ Ø´ÙƒØ§ÙˆÙ‰ ÙˆÙ…ØªØ§Ø¨Ø¹Ø© Ø¹Ù†Ø¯ Ø§Ù„ÙˆÙƒÙŠÙ„ Ø§Ù„Ù…ØµØ±Ù‰ Ø¨Ø³ Ø§Ù†Ø§ Ø¨Ø±Ø¶Ù‡ Ù‡ØªØ§Ø¨Ø¹ Ø§Ù‰ Ø§Ø®Ø¨Ø§Ø± Ù…Ø¹ Ø§Ù„Ø´Ø±ÙƒØ© Ø§Ù„Ø§Ù… Ø¹Ø´Ø§Ù† Ø§Ù„Ù†Ø§Ø³ Ø¯Ù‰ Ù…ÙØ±Ø¶ØªØ´ Ù†ÙØ³Ù‡Ø§ ÙÙ‰ Ø§Ù„Ø³ÙˆÙ‚ Ø¨Ø³Ù‡ÙˆÙ„Ø© Ø§Ù†Ù…Ø§ Ø¨Ø§Ù„Ù…Ø¹Ø§Ù…Ù„Ø© ÙˆØ®Ø¯Ù…Ø© Ø§Ù„Ø¹Ù…ÙŠÙ„ Ø§Ù„Ø±Ø§Ø¦Ø¹Ø© . ÙÙ‰ Ø­Ø§Ø¬Ø© ØªØ§Ù†ÙŠØ© Ø¹Ø§ÙˆØ² Ø§Ù‚ÙˆÙ„Ù‡Ø§ Ø¨Ø³Ø±Ø¹Ø© Ø§Ù„ØªÙˆÙƒÙŠÙ„ Ù‡Ù†Ø§ Ø¨ÙŠÙØ±Ø¶ Ø§Ù† Ø§Ù„Ø²ÙŠØª ( Ù…ÙˆØ¨ÙŠÙ„ 1 ) ÙˆØ§Ù„ÙÙ„ØªØ± ÙŠØªØºÙŠØ±ÙˆØ§ Ø¨Ø¹Ø¯ 6 Ø´Ù‡ÙˆØ± ÙƒØ­Ø¯ Ø§Ù‚ØµÙ‰ Ù…Ù† ÙˆØ¬ÙˆØ¯Ù‡Ù… ÙÙ‰ Ø§Ù„Ù…ÙˆØªÙˆØ± Ø­ØªÙ‰ Ù„Ùˆ Ø§Ù„Ø¹Ø±Ø¨ÙŠØ© Ù…Ù…Ø´ÙŠØªØ´ ØºÙŠØ± 1000ÙƒÙ… !! ÙˆØ¯Ù‡ Ù…Ø´ Ù…ÙˆØ¬ÙˆØ¯ ÙÙ‰ Ù…Ø§Ù†ÙŠÙˆØ§Ù„ Ø§Ù„Ø¹Ø±Ø¨ÙŠØ© ÙˆÙ„Ø§ ÙÙ‰ ØªØ¹Ù„ÙŠÙ…Ø§Øª Ø§Ø³ØªØ®Ø¯Ø§Ù… Ø§Ù„Ø²ÙŠØª Ù„Ø£Ù† Ø¯Ù‡ Ø­ØµÙ„ Ù…Ø¹Ø§ÙŠØ§ ÙˆØ¨Ø±Ø¶Ù‡ Ø±Ø§Ø³Ù„Øª Ø§ÙŠÙƒØ³ÙˆÙ† Ù…ÙˆØ¨ÙŠÙ„ Ø¹Ø´Ø§Ù† Ø§Ø³Ø£Ù„Ù‡Ù… ÙˆØ§ØªØµÙ„Øª Ø¨ÙƒØ¨Ø±Ù‰ ÙˆØ±Ø´ Ø§Ù„ØµÙŠØ§Ù†Ø© ÙÙ‰ Ù…ØµØ± ÙˆÙ‚Ø§Ù„ÙˆÙ„Ù‰ Ø§Ù† Ø¯Ù‡ ÙƒÙ„Ø§Ù… ØºÙŠØ± Ø¹Ù„Ù…Ù‰ Ø§Ùˆ Ø­ØªÙ‰ Ù…Ù†Ø·Ù‚Ù‰ . ÙˆØ§Ø®ÙŠØ±Ø§ Ø§Ù†Ø§ Ø¨Ø­Ø¨ Ø§Ù„Ø¹Ù„Ø§Ù…Ø© Ø¬Ø¯Ø§ Ø¨Ø³ Ø²Ø¹Ù„Ø§Ù† Ø§ÙˆÙ‰ Ø§Ù† ØªÙˆÙƒÙŠÙ„Ù†Ø§ Ø¨ÙŠØªØµØ±Ù Ù…Ø¹Ø§Ù†Ø§ ÙƒØ¯Ù‡ ÙˆÙ…Ø³ØªÙ†Ù‰ Ø§Ø³Ù…Ø¹ Ø§Ù„Ù…Ø´ÙƒÙ„Ø© ÙˆØ§Ù„Ø±Ø¯ ÙÙ‰ Ø¨Ø±Ù†Ø§Ù…Ø¬ÙƒÙ… Ø§Ù„Ù„Ù‰ Ø¨ÙŠÙˆØ¶Ø­ ÙƒÙ„ Ø­Ø§Ø¬Ù‡ ÙÙ‰ Ø³ÙˆÙ‚ Ø§Ù„Ø³ÙŠØ§Ø±Ø§Øª Ø¨Ø´ÙØ§ÙÙŠØ© ÙƒØ§Ù…Ù„Ø© ÙˆØ´ÙƒØ±Ø§ . thanks for informing us about your problem. My personal opinion is that the 7.500 (!!!) Egyptian Pounds charged for a so-called 'registration-fee' by the Egyptian Volkswagen & Audi importer (Egyptian Automotive Company) is highly illegal and a crystal-clear rip-off. I hope that the Volkswagen AG headquarter in Germany and the Egyptian authorities would soon end this highly nontransparent and rip-off behavior of the official Volkswagen and Audi dealer in Egypt. Please send us the relevant documents and invoices as well as your complete contact details (incl. mobile phone). Feel free to call us next Tuesday between 4-7pm during our live-program on Radio Masr 88.7 to share your Volkswagen Egypt experience with our listeners. Ø·Ø¨Ø¹Ø§ ØªØ­Ø§ÙˆÙ„ ØªÙƒÙ„Ù… Ù…ÙŠÙ† Ø§Ùˆ ØªÙÙ‡Ù… Ù…ÙŠÙ† Ø§Ù†Ø§ Ø·Ø¨Ø¹Ø§ Ø§Ø­ØªØ³Ø¨Øª Ùˆ ØªÙˆÙƒÙ„Øª Ø¹Ù„ÙŠ Ø§Ù„Ù„Ù‡ Ùˆ Ù‚ÙˆÙ„Øª Ù…Ø·Ø±Ø­ Ù…ØªØ±Ø³ÙŠ Ù‡Ø¯Ù‚Ù„Ù‡Ø§ Ø¨Ø³ Ø§Ù„Ù„ÙŠ Ø­ØµÙ„ Ø§Ù†Ù‡Ù… Ø¹Ù…Ù„ÙˆÙ„ÙŠ Ù…Ø­Ø¶Ø± Ø³ÙŠØ± Ø¨Ø¯ÙˆÙ† Ù„ÙˆØ­Ø§Øª Ùˆ Ø§Ø®Ø¯Ùˆ Ø§Ù„Ø¹Ø±Ø¨ÙŠØ© Ù…Ù†ÙŠ Ùˆ Ø­Ø·ÙˆÙ‡Ø§ ÙÙŠ ÙˆØ­Ø¯Ø© Ù…Ø±ÙˆØ± Ù…Ø¹Ø±ÙˆÙ Ùˆ Ø§Ø®Ø¯ÙˆÙ†ÙŠ Ø¹Ù„ÙŠ Ù‚Ø³Ù… Ø§Ù„Ø§Ø²Ø¨ÙƒÙŠØ© Ùˆ Ù„Ù…Ø§ Ø§Ù„Ø¸Ø§Ø¨Ø· Ø¹Ø±Ù Ø¸Ø±ÙˆÙÙŠ Ø§Ù…Ø± Ø§Ù„Ø§Ù…ÙŠÙ† Ø§Ù†Ù‡ ÙŠØ®Ù„Øµ Ø§Ù„Ù…Ø­Ø¶Ø± Ùˆ ÙŠÙˆØ¯ÙŠÙ†ÙŠ Ù†ÙŠØ§Ø¨Ù‡ ØµØ¨Ø§Ø­ÙŠØ© Ø¨Ø¯Ù„ Ù…Ø§ Ø§Ø¯Ø®Ù„ Ø§Ù„Ø­Ø¬Ø² . Ùˆ ØªÙ… ØªØ±Ø­ÙŠÙ„ÙŠ Ø¹Ù„ÙŠ Ù†ÙŠØ§Ø¨Ù‡ Ø§Ù„Ø¹ØªØ¨Ø© Ù…Ù‚ÙŠØ¯Ø§ Ø¨Ø§Ù„ÙƒÙ„Ø¨Ø´Ø§Øª Ùˆ Ù„Ù… ØªÙÙƒ Ù…Ù† ÙŠØ¯ÙŠ Ø§Ù„Ø§ Ø§Ù…Ø§Ù… ÙˆÙƒÙŠÙ„ Ø§Ù„Ù†ÙŠØ§Ø¨Ù‡ Ø§Ù„Ø°ÙŠ Ø§Ù…Ø± Ø¨ØºØ±Ø§Ù…Ù‡ 600Ø¬Ù†ÙŠÙ‡ Ùˆ Ù‡ÙŠ Ø§Ù„Ø­Ø¯ Ø§Ù„Ø§Ø¯Ù†ÙŠ Ùˆ Ù‚Ø§Ù„ÙŠ Ù„Ø§Ø²Ù… Ù…ÙƒÙ†ØªØ´ ØªØ®Ø±Ø¬ Ù…Ù† Ø§Ù„Ù…Ø¹Ø±Ø¶ Ø§Ù„Ø§ Ù…Ø±Ø®Øµ Ø§Ù„Ø¹Ø±Ø¨ÙŠØ© Ø§Ùˆ Ù…Ø±ÙƒØ¨ Ù†Ù…Ø± ØªØ¬Ø§Ø±ÙŠÙ‡ Ø§Ùˆ Ù…Ø¤Ù‚ØªÙ‡ ÙˆÙ„Ù…Ø§ Ù‚Ù„ØªÙ„Ù‡ Ø§Ù†ÙŠ Ø³Ø§Ù„Øª ÙˆÙ‚ÙˆÙ„ØªÙ„Ù‡ Ø§Ù„Ù„ÙŠ Ù‚Ø§Ù„Ù„ÙˆÙ„ÙŠ Ø¹Ù„ÙŠÙ‡ Ù‚Ø§Ù„ÙŠ Ø§Ù„ÙƒÙ„Ø§Ù… Ø¯Ù‡ ØºÙ„Ø· Ùˆ Ø¹Ø¯Ù… Ø¹Ù„Ù…ÙŠ Ø¨Ø§Ù„Ù‚Ø§Ù†ÙˆÙ† Ù„Ø§ ÙŠØ¹ÙÙŠÙ†ÙŠ Ù…Ù† Ø§Ù„Ø¹Ù‚ÙˆØ¨Ø© . ÙˆØ§Ù…Ø± Ø¨Ø§Ù„Ø§ÙØ±Ø§Ø¬ Ø¹Ù†ÙŠ Ø¨Ø¹Ø¯ Ø¯ÙØ¹ Ø§Ù„ØºØ±Ø§Ù…Ù‡ Ø¨Ø³ Ø±Ø¬Ø¹Ùˆ Ù„Ø¨Ø³ÙˆÙ†ÙŠ Ø§Ù„ÙƒÙ„Ø¨Ø´Ø§Øª Ù…Ø±Ø© ØªØ§Ù†ÙŠÙ‡ Ù„Ø­Ø¯ Ù…Ø§ Ø§Ø¯ÙØ¹ Ø§Ù„ØºØ±Ø§Ù…Ø© Ùˆ ÙŠØµØ¯Ø± Ù‚Ø±Ø§Ø± Ø§Ù„Ø§ÙØ±Ø§Ø¬ Ø¹Ù†ÙŠ Ø±Ø³Ù…ÙŠØ§ Ùˆ Ø¯Ù‡ Ø­ØµÙ„ Ø¨Ø¹Ø¯ Ø­ÙˆØ§Ù„ÙŠ 3 Ø³Ø§Ø¹Ø§Øª Ùˆ Ø·Ù„Ø¹ Ø§Ù† Ù‚Ø±Ø§Ø± Ø§Ù„Ù†ÙŠØ§Ø¨Ù‡ Ù„Ø§Ø²Ù… ÙŠØªÙ†ÙØ² Ù…Ù† Ø§Ù„Ù‚Ø³Ù… ÙØ±Ø¬Ø¹Øª Ù„Ù‚Ø³Ù… Ø§Ù„Ø§Ø²Ø¨ÙŠÙƒÙŠØ© Ùˆ ÙƒØ§Ù†Ùˆ Ù‡ÙŠÙ„ÙÙÙˆÙ†ÙŠ ÙƒØ¹Ø¨ Ø¯Ø§ÙŠØ± Ø¨Ø±Ø¶Ù‡ Ù„ÙˆÙ„Ø§ Ø§Ù„Ø¸Ø§Ø¨Ø· Ø§ÙØªÙƒØ±Ù†ÙŠ Ùˆ Ù‚Ø§Ù„Ù‡Ù… ÙƒÙØ§ÙŠÙ‡ ÙƒØ¯Ù‡ Ø§ÙØ±Ø¬Ùˆ Ø¹Ù†Ù‡ Ùˆ Ø§Ø¯ÙˆÙ„Ù‡ Ø¬ÙˆØ§Ø¨ Ù„Ù„Ø¹Ø±Ø¨ÙŠÙ‡ Ø¹Ù„Ø´Ø§Ù† ÙŠÙØ±Ø¬Ùˆ Ø¹Ù†Ù‡Ø§ ÙÙŠ Ù…Ø±ÙˆØ± Ù…Ø¹Ø±ÙˆÙ. ÙƒØ§Ù† Ø§Ù„Ø³Ø§Ø¹Ø© Ø¨Ù‚Øª Ø­ÙˆØ§Ù„ÙŠ 2:30 ØªÙ‚Ø±ÙŠØ¨Ø§ Ùˆ Ø¬Ø±ÙŠØª Ø¹Ù„ÙŠ Ù…Ø±ÙˆØ± Ù…Ø¹Ø±ÙˆÙ Ø¨Ø³Ø±Ø¹Ù‡ Ø¨Ø³ Ø¯Ø®ÙˆÙ„ Ø§Ù„Ø­Ù…Ø§Ù… Ù…Ø´ Ø²ÙŠ Ø®Ø±ÙˆØ¬Ù‡ . Ù‚Ø§Ù„ÙˆÙ„ÙŠ Ù„Ø§Ø¨Ø¯ Ù…Ù† Ø§ØªØ¨Ø§Ø¹ Ø§Ø¬Ø±Ø§Ø¦Ø§Øª Ø§Ù„Ø§ÙØ±Ø§Ø¬ Ø§ÙˆÙ„Ø§ Ù†Ø¹Ù…Ù„ ÙØ­Øµ Ù„Ù„Ø³ÙŠØ§Ø±Ø© Ùˆ Ù†Ø¨Ø¹ØªÙ‡ ÙŠØ¹ØªÙ…Ø¯ Ù…Ù† Ù†ÙŠØ§Ø¨Ù‡ Ø§Ù„Ø¹ØªØ¨Ø© Ø«Ù… Ù†Ø±Ø³Ù„Ù‡ Ù„Ù…Ø±ÙˆØ± Ø§Ù„Ø¯Ø±Ø§Ø³Ù‡ Ùˆ Ø¹Ù…Ù„Øª ÙƒØ¯Ù‡ Ùˆ Ù„Ù…Ø§ ÙˆØµÙ„Øª Ù…Ø±Ùˆ Ø± Ø§Ù„Ø¯Ø±Ø§Ø³Ù‡ ÙƒØ§Ù†Øª Ø§Ù„Ø³Ø§Ø¹Ø© Ø¨Ù‚Øª 3:45 Ùˆ Ø§Ù„Ø¨Ø§Ø´ÙˆØ§Øª Ù‡Ù†Ø§Ùƒ ÙƒØ§Ù†Ùˆ Ù…Ø´ÙŠÙˆ Ùˆ Ù‚Ø§Ù„ÙˆÙ„ÙŠ ÙÙˆØª Ø¹Ù„ÙŠÙ†Ø§ Ø¨ÙƒØ±Ø© Ùˆ Ø§Ù†Ø§ Ø·Ø¨Ø¹Ø§ Ù„Ø³Ø§ Ù…Ø§Ø³Ùƒ Ø§Ø¹ØµØ§Ø¨ÙŠ Ù…Ø´ Ø¹Ø§Ø±Ù Ø§Ø²Ø§ÙŠ Ùˆ Ø±Ø¬Ø¹Øª Ù…Ø±ÙˆØ± Ù…Ø¹Ø±ÙˆÙ Ø§Ø·Ù…Ù† Ø¹Ù„ÙŠ Ø§Ù„Ø¹Ø±Ø¨ÙŠØ© Ùˆ Ø§Ù…Ù† Ø­Ø±Ø§Ø³ØªÙ‡Ø§ Ùˆ Ø§Ø¸Ø¨Ø· Ø§Ù„Ù†Ø§Ø³ Ù‡Ù†Ø§Ùƒ Ù„Ø§Ù† Ø§Ù„Ù†Ø§Ø³ Ø®ÙˆÙØªÙ†ÙŠ Ø§Ù† Ø§Ù„Ø¹Ø±Ø¨ÙŠØ© Ù„Ùˆ Ø¨Ø§ØªØª Ù‡Ù†Ø§Ùƒ Ù…Ù…ÙƒÙ† ØªØªÙ‚Ù„Ø¨ Ø¨Ø³ Ù…Ø¯ÙŠØ± ÙˆØ­Ø¯Ø© Ø§Ù„Ø­Ø¬Ø² ÙƒØ§Ù† Ø¸Ø§Ø¨Ø· Ù…Ø­ØªØ±Ù… Ùˆ Ø·Ù…Ù†ÙŠ Ùˆ Ù‚Ø§Ù„ÙŠ Ù…ØªØ®ÙØ´ÙŠ Ø®Ù„Øµ Ø§Ø¬Ø±Ø§Ø¦Ø§ØªÙƒ Ùˆ ØªØ¹Ø§Ù„ÙŠ Ø§Ø³ØªÙ„Ù…Ù‡Ø§ . ØªØ§Ù†ÙŠ ÙŠÙˆÙ… Ø±ÙˆØ­Øª Ù…Ø±ÙˆØ± Ø§Ù„Ø¯Ø±Ø§Ø³Ù‡ Ù…Ù† Ø§Ù„ØµØ¨Ø­ Ù…Ø¹Ø§ÙŠØ§ Ø§Ù„ÙØ­Øµ Ùˆ ÙˆØ±Ù‚ Ø§Ù„Ø¹Ø±Ø¨ÙŠØ© Ùˆ Ø§Ù„Ù…Ø³ØªÙ†Ø¯Ø§Øª ÙƒÙ„Ù‡Ø§ Ø§ÙˆÙ„ Ø­Ø§Ø¬Ù‡ Ø·Ù„Ø¹Ùˆ Ø¹Ù†ÙŠØ§ Ø¹Ù„ÙŠ Ù…Ø§ Ù‚Ø¯Ø±Ùˆ Ø¶Ø±ÙŠØ¨Ø© Ø§Ù„Ø¹Ø±Ø¨ÙŠØ© Ùˆ ÙÙ‡Ù…ÙˆÙ†ÙŠ Ø§Ù†Ù‡Ø§ Ù‡ØªØ¶ÙŠØ¹ Ø¹Ù„ÙŠØ§ Ù„Ø§Ù†Ù‡Ø§ Ù…Ø´ ÙÙŠ Ø§Ù„Ù…Ø±ÙˆØ± Ø§Ù„Ù„ÙŠ Ù‡Ø±Ø®Øµ ÙÙŠÙ‡ Ùˆ Ø¯ÙŠ Ø­ÙˆØ§Ù„ÙŠ 340 Ø¬Ù†ÙŠÙ‡ Ùˆ Ø¨Ø¹Ø¯ Ø§Ù„ØªØ®ÙÙŠØ¶ Ù„Ù…Ø§ Ø¹Ø±ÙÙˆ Ø¸Ø±ÙˆÙÙŠ Ùˆ ØµÙ„ÙˆÙ‡Ø§ 200 Ø¬Ù†ÙŠÙ‡ Ø¨Ø³ Ù„Ø§Ù†ÙŠ Ù‡Ø¯ÙØ¹ Ø¶Ø±ÙŠØ¨Ù‡ ÙÙŠ Ù…Ø±ÙˆØ± Ø¨Ù†Ù‡Ø§ ØªØ§Ù†ÙŠ Ù„Ù…Ø§ Ø§Ø¬ÙŠ Ø§Ø±Ø®Øµ Ø§Ù„Ø¹Ø±Ø¨ÙŠÙ‡ . Ùˆ Ø¨Ø¹Ø¯ Ù…Ø§ Ø¯ÙØ¹Øª Ø¨Ø¹ØªÙˆ Ø§Ù„ÙˆØ±Ù‚ ÙƒÙ„Ù‡ Ù„Ù„Ù…Ø¨Ø§Ø­Ø« ÙŠØªØ§ÙƒØ¯Ùˆ Ù„ØªÙƒÙˆÙ† Ø§Ù„Ø¹Ø±Ø¨ÙŠØ© Ù…Ø³Ø±ÙˆÙ‚Ù‡ Ø§Ùˆ Ø§Ù† ÙŠÙƒÙˆÙ† Ø¹Ù„ÙŠØ§ Ø§Ù†Ø§ Ø´Ø®ØµÙŠØ§ Ø§Ø­ÙƒØ§Ù… Ùˆ Ø®Ù„Ø§ÙÙ‡ Ùˆ Ø¨Ø¹Ø¯ ÙƒØ¯Ù‡ Ø§Ø¯ÙˆÙ†ÙŠ Ø´Ù‡Ø§Ø¯Ù‡ Ø§ÙØ±Ø§Ø¬ Ø§Ø³Ù„Ù…Ù‡Ø§ Ù„Ù„Ù†Ø§Ø³ ÙÙŠ Ù…Ø±ÙˆØ± Ù…Ø¹Ø±ÙˆÙ Ùˆ Ø¯Ù‡ ÙƒØ§Ù† Ø­ÙˆØ§Ù„ÙŠ Ø§Ù„Ø³Ø§Ø¹Ù‡ 12:30 ÙˆØµÙ„Øª Ù…Ø±ÙˆØ± Ù…Ø¹Ø±ÙˆÙ Ùˆ Ù‚Ø§Ø¨Ù„Ù†ÙŠ Ù…Ù†Ø¯ÙˆØ¨ Ø§Ù„Ù…Ø¹Ø±Ø¶ Ùˆ Ù…Ø¹Ø§Ù‡ Ù†Ù…Ø± ØªØ¬Ø§Ø±ÙŠÙ‡ Ù„Ø§Ù†Ù‡Ù… Ù‚Ø§Ù„ÙˆÙ„Ù†Ø§ Ù‡Ù†Ø§Ùƒ Ø§Ù„Ø¹Ø±Ø¨ÙŠØ© Ù…Ø´ Ù…Ù…ÙƒÙ† ØªØ®Ø±Ø¬ Ù…Ù† Ù‡Ù†Ø§ Ù…Ù† ØºÙŠØ± Ù†Ù…Ø± Ùˆ Ø´Ù‡Ø§Ø¯Ù‡ Ø§ÙØ±Ø§Ø¬ . Ø§Ù„Ø­Ù…Ø¯ Ù„Ù„Ù‡ Ø®Ù„ØµØª Ùˆ Ø®Ø±Ø¬Øª Ù…Ù† Ø¹Ù†Ø¯Ù‡Ù… Ø§Ù„Ø³Ø§Ø¹Ø© 1:45 Ùˆ Ù…Ù†Ø¯ÙˆØ¨ Ø§Ù„Ù…Ø¹Ø±Ø¶ ÙƒØ§Ù† Ø¹Ø§Ø²Ù†ÙŠ Ø§Ø±Ø¬Ø¹ Ø§Ù„Ø¹Ø±Ø¨ÙŠØ© Ø§Ù„Ù…Ø¹Ø±Ø¶ Ùˆ Ù†Ø±ÙˆØ­ Ù†Ø±Ø®ØµÙ‡Ø§ ØªØ§Ù†ÙŠ ÙŠÙˆÙ… Ø§Ù„ØµØ¨Ø­ ÙØ±ÙØ¶Øª Ùˆ Ù‚ÙˆÙ„ØªÙ„Ù‡ ÙŠÙ‚Ø§Ø¨Ù„Ù†ÙŠ ÙÙŠ Ø¨Ù†Ù‡Ø§ ØªØ§Ù†ÙŠ ÙŠÙˆÙ… Ø¹Ù„Ø´Ø§Ù† Ø§Ù†Ø§ Ù‡Ø±ÙˆØ­ Ø¨ÙŠÙ‡Ø§ Ø¨Ù†Ù‡Ø§ Ø¯Ù„ÙˆÙ‚ØªÙŠ . Ø§Ù„ÙŠÙˆÙ… Ø§Ù„ØªØ§Ù„Øª Ø¨Ø¯Ø¡ Ø§Ù„Ø­Ù…Ø¯ Ù„Ù„Ù‡ ÙƒÙˆÙŠØ³ Ùˆ Ø±Ø®ØµØª Ø§Ù„Ø¹Ø±Ø¨ÙŠØ© Ùˆ Ø®Ù„ØµØª Ø§Ù„Ø³Ø§Ø¹Ù‡ Ø­ÙˆØ§Ù„ÙŠ 12:30 Ø¨Ø¹Ø¯ Ù…Ø§Ø·Ù„Ø¹ Ø¹ÙŠÙ†ÙŠ Ùˆ ÙØ¹Ù„Ø§ Ø¯ÙØ¹Øª Ø§Ù„Ø¶Ø±ÙŠØ¨Ø© ØªØ§Ù†ÙŠ ÙÙŠ Ø¨Ù†Ù‡Ø§ .Ùˆ Ù…Ù†Ø¯ÙˆØ¨ Ø§Ù„Ù…Ø¹Ø±Ø¶ Ø§Ø®Ø¯Ø¯ ÙˆØ±Ù‚ Ø§Ù„Ø¨Ù†Ùƒ Ùˆ ØµÙˆØ±Ø© Ø§Ù„Ø±Ø®ØµØ© Ùˆ Ø§Ù„Ù†Ù…Ø± Ø§Ù„ØªØ¬Ø§Ø±ÙŠØ© Ø¨Ø¹Ø¯ Ù…Ø§ Ø±ÙƒØ¨Øª Ø§Ù„Ù†Ù…Ø± Ø§Ù„Ø¬Ø¯ÙŠØ¯Ø© . 2 Ù„Ø§Ø¨Ø¯ Ù…Ù† ØªØ´Ø±ÙŠØ¹ ÙŠØ­Ù…ÙŠ Ø§Ù„Ù…Ø³ØªÙ‡Ù„Ùƒ Ø§Ùˆ ÙŠØ¹Ø±ÙÙ‡ Ø¨Ø§Ù„Ù‚Ø§Ù†ÙˆÙ† Ù‚Ø¨Ù„ Ø§Ø³ØªÙ„Ø§Ù…Ù‡ Ø§Ù„Ø³ÙŠØ§Ø±Ø© Ù„Ø§Ù† Ù…Ø´ ÙƒÙ„ Ø§Ù„Ù†Ø§Ø³ Ø¨ØªØ´ØªØ±ÙŠ Ø³ÙŠØ§Ø±Ø© Ø²ÙŠØ±Ùˆ ÙƒÙ„ ÙŠÙˆÙ… ..
Ø£Ù…Ø§ Ø§Ù„Ø¹ÙŠØ¨ Ø§Ù„Ø°Ù‰ Ø¸Ù‡Ø± Ø¨Ø¹Ø¯ Ø£Ù†ØªÙ‡Ø§Ø¡ Ø§Ù„Ø¶Ù…Ø§Ù† Ù‡Ùˆ Ø¨Ù„ÙŠØ© Ø§Ù„Ø¹Ø¬Ù„Ø© Ø§Ù„Ø£Ù…Ø§Ù…ÙŠØ© Ø´Ù…Ø§Ù„ Ùˆ Ø§Ù„ØªÙ‰ ØªÙØ±Ø· Ø¹Ù†Ø¯Ù…Ø§ Ø£Ù‚ÙˆÙ… Ø¨ØªØºÙŠØ±Ù‡Ø§ Ø¨Ø¹Ø¯ 2000 ÙƒÙŠÙ„Ùˆ Ùˆ Ù‚Ø¯ Ø¹Ù„Ù…Øª Ù…Ù† Ø§Ù„Ù…Ø±ÙƒØ² Ø£Ù† Ù‡Ù†Ø§Ùƒ Ø§Ù„Ø¹Ø¯ÙŠØ¯ Ù…Ù† Ø§Ù„Ø³ÙŠØ§Ø±Ø§Øª Ø§Ù„Ø£ÙÙŠÙˆØ§ Ø¨Ù‡Ø§ Ù†ÙØ³ Ø§Ù„Ø¹ÙŠØ¨ ÙŠØ±Ø¬Ù‰ Ø§Ù„Ù…Ø³Ø§Ø¹Ø¯Ø© Ùˆ Ù„ÙƒÙ… Ø®Ø§Ù„Øµ Ø§Ù„Ø´ÙƒØ±. we have forwarded your complaint to General Motors Egypt / MAnsour Chevrolet. You will surely hear from them soon, and I am sure your problem will be solved soon. Keep us updated with your case and feel free to call us anytime during our radio show next Tuesday. Thanks for the great radio show! I have never seen something as brave and straight-forward as your show anywhere in Egypt or even the Middle East !!! especially the part about the profit margins of the car companies was shocking ! I would have never guessed that the profit margin of the Made-In-Egypt Mercedes S500 would be some freaking 900.000 pounds !!!!!!!!!!!! nine hundred THOUSAND POUNDS !!!!!?????? shocking !!! the profit margin of Volkswagen Egypt for the VW Jetta was also shocking !!!! keep up the great work !!! Thanks, Mohsen! I am glad you like the show. Thanks for the great radio show! I have never seen something as brave and straight-forward as your show anywhere in Egypt or even the Middle East !!! especially the part about the profit margins of the car companies was shocking ! Would have never guessed that the profit margin of the Made-In-Egypt Mercedes S500 would be some freaking 900.000 pounds !!!!!!!!!!!! NINE HUNDRED THOUSAND POUNDS !!!!!?????? shocking !!! the 50.000 pound (!!!!!) profit margin of the Volkswagen Jetta was also shocking !!!! anyway, keep up the great work !! !